Staying connected while traveling has become easier thanks to portable pocket WiFi. I first knew about it through the promotion of travel bloggers who received sponsorship from WiFi providers. I saw them toting the device during their travels and it helps them stay connected to their followers. So when I was planning my Taiwan trip I thought about renting a WiFi device because you know, blogger duties. My kuripot (thrifty) tendency was triggered when I saw the rate of the providers that these bloggers are promoting. One goes for ₱390 ($7.73) per day, the other is ₱300 ($5.95), also on a per day basis. It means that if I chose any of those two providers, the damage would be ₱900 to ₱1,170 to cover my 3-day Taiwan trip. That’s a lot of money! Good thing a friend recommended a much cheaper option, so cheap I had doubts about its capability. But nope, this pocket WiFi is so good I just had to write a review. To those who have been waiting for this, here it is! 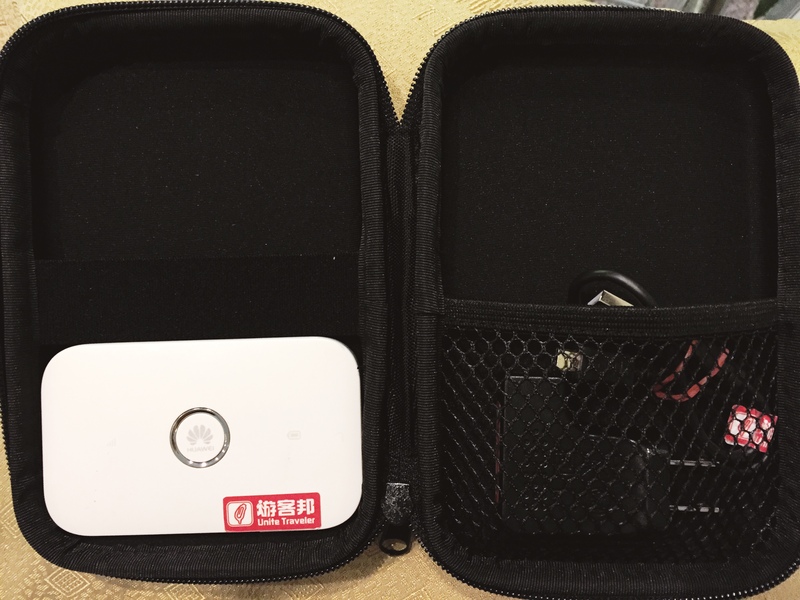 A review of this cheap and reliable WiFi buddy for travelers, Klook. But first, what is Klook? How much is the WiFi Rental? Where to pick up the device? Unlike other WiFi providers that I know, Klook is, first of all, a one-stop shop for booking travel experiences. They prepare itineraries that tourists can book through their website or mobile app. Pocket WiFi rental is just one of the services that they offer. So I went to their website to book their WiFi device. To my surprise, Klook offers a much cheaper rate than their counterparts. The 4G WiFi rental is only PHP 89 (USD 1.77) per day. 89 pesos versus 300 pesos? There is no discussion here! I booked Klook and all in all I only paid ₱267 ($5.30) for 3 days of use. After confirming my booking online, I received a voucher, which I printed and presented in a booth that can be found at Taoyuan International Airport. But before I stir up a commotion, this is a discount/promo rate. Even so, when I compared the discounted rates of Klook with other providers, Klook still wins as the cheaper option. Note that I got the 89 pesos rate when I booked it last year. I just checked today and saw that it is now ₱91 ($1.81); still cheap though! When you reach Taoyuan Airport, don’t bother looking for a Klook booth, there isn’t one. 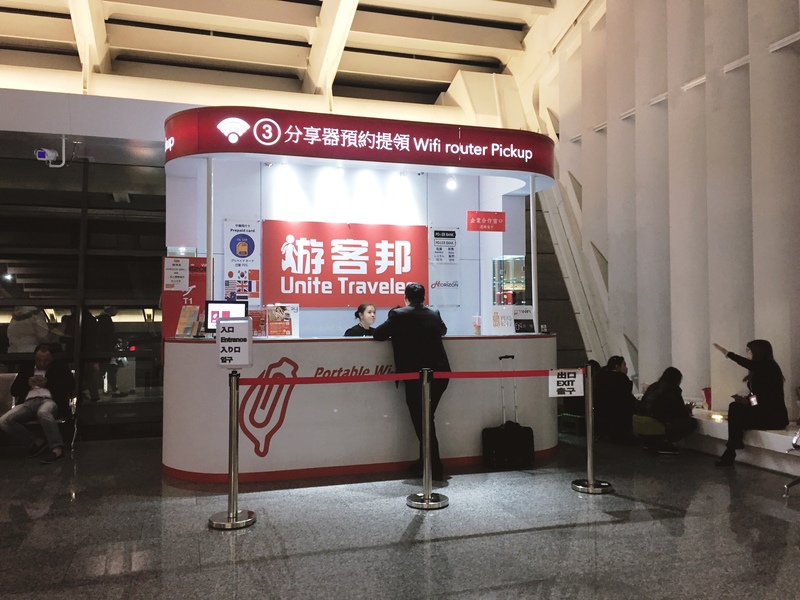 What you need to find is the Unite Traveler booth, that’s where you can pick up the device. It is opened from 5:30 a.m. to 1:00 a.m. Despite the instruction on the voucher on where the stall is located I still had a hard time finding it so I asked the Information desk. See the photo below for a sketch map that they showed me. Yes, the sketch is crappy but it does the job . Claiming the device was easy breezy, just show your passport and printed voucher. You will also need to present your credit card (I provided my paymaya) as a guarantee that you would return the device. In the event that you didn’t bring it back to Unite Traveler, they will charge it to your plastic. So better take care of it, honey. Anyhoo, I was surprised to find that the device looks like the regular broadband device in my country because the other portable WiFi that I saw before looked more like a power bank. It is kept inside this black case and it comes with a charger. Very satisfactory. It’s lightweight, doesn’t take too much room in my small purse, and it could last for 6 hours before I had to charge it. If you travel with a power bank then you can just easily juice it up and continue using it. As with the connection, I am quite impressed at how fast and reliable the Internet is. The only time it didn’t work well was when the train entered an underground tunnel and it was only for several minutes. At one time I tethered 3 gadgets and I thought the connection would slow down; it didn’t. For a device so small, it was able to deliver and I am very satisfied with. The only problem that I had was the fact that it doesn’t charge overnight. So I left it charging while I was sleeping but the next day, the battery was still low. But it charges perfectly when I connected it with my power bank, then I can use it again with no trouble. Other than this weird thing, the device is okay. Just to clarify, this is not a sponsored post. Like I mentioned, I paid for it. But I loved it so much, I thought I should share it. So if you are looking for a cheaper but reliable option for a WiFi provider I would only recommend one thing to you, and that is Klook. This is so very useful ! Do you know if something like Klook exists for Europe as well, I am sure there will be. I had no idea it was possible to hire a wifi buddy like this, otherwise I would have definitely researched before my Europe trip. On that trip, we had to mostly rely on offline maps and when we were out, and deviated from our routes then the map was no longer helpful. Hi if I arrive at Kao Hsiung airport and departing from Taipei, Tao Yuan airport. 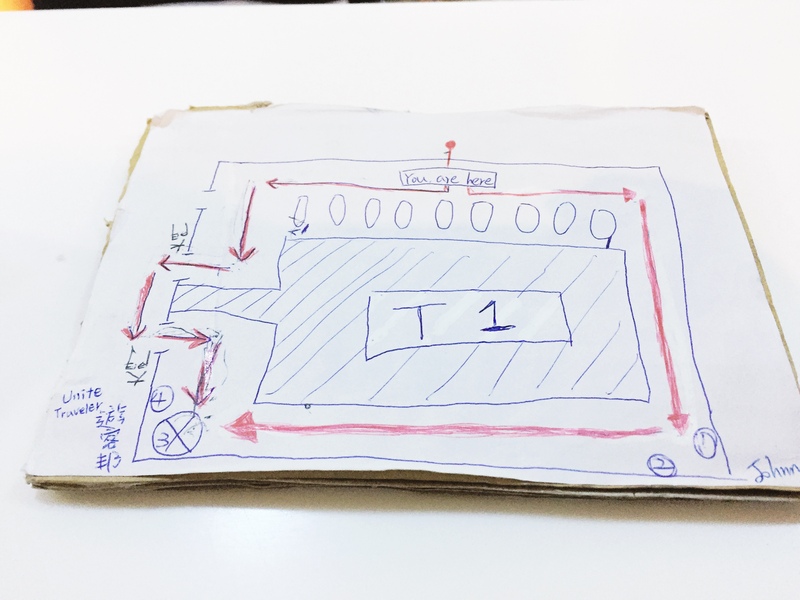 Can i pick up from Kao Hsiung and return the device at Tao Yuan Taipei airport. Is it possible? Hi Tan, as far as I know, pickup and return of the device are only available at Taoyuan Airport. Thank you! I was looking for reviews as I’m planning to take this pocket wifi… I’m glad it worked well! And also it’s great that the booth is open until 1 AM, my flight arrives around 8:30 PM so I thought I’d have to run to get it hahaha and also I’m relieved that you could use a prepaid card for the deposit, thanks again for all the info!! You are quite welcome Paula. Enjoy! Hi! Were able to test the speed of the internet? If so, how was it? 🙂 Planning to get Klook also! Hi Trisha, sorry I didn’t do a speed test. It worked fine with me though, it was fast enough for me. Hi Marjorie! I’m planning to avail this pocket wifi but I’m a little worried because my Cebpac flight arrives 12:10AM and the booth closes at 1AM. Do you think I’ll make it? Hi Ariana, honestly, I don’t think you will. It takes more than an hour to get to Taiwan. What you can do is stay in the airport until it opens, if you have time of course. Hi MJ, I have forgotten about the cost of security deposit, it was written on the voucher, however, they didn’t ask me for a deposit and I am not sure why. It may not always be the case though so make sure to just prepare 1,000 to 2,000 pesos just in case they ask for it. Yes, I used my Paymaya card. Hello Mayel. It is in their contract to ask for security payment when you pick up the device. However, in my case, I wasn’t asked to pay for that. What I am not sure of is if this rule varies for different countries. I suggest to just prepare for the security payment. It will be returned to you anyway once you return the device. The Device is so handy, cool and lightweight. It will actually fit into my purse and solve my connected problem during travels. I need to check for the same in India too. Thanks for sharing. Thanks for this info! I am arriving beyond 1am. Any suggestion on how can I get the rented device? I’ve always seen Klook(‘s ads in my mail) but never really had the chance to try it. Good thing you posted your experience. I think it really has a much cheaper rate than other pocket wifi rentals and it’s good news 🙂 Thanks for giving the lowdown on the renting process! I can’t wait to try it when I go to Taiwan! How i wish it was available when i went backpacking last 2015! Would have saved me money and time as well. I’ll be sure to use one the next time I travel! Where has this been all my life, something like this would make travelling so much better! Dayum! this is so good! exactly what I was looking for! I hope this works perfectly for me for my next trips! Thanks for sharing! Cheers! I need this WiFi service in my life right now. Sa Taiwan lang po ito available, ate Marge? Makes me want to book a flight to Taiwan tuloy! Hehehe! Kailan kaya magkakaroon ng ganito ka-cheap na Portable WiFi service dito sa Pilipinas? Nope Chiki, it’s also availabe in some parts of Asia. It’s also available in our country but if you are on postpaid already, you don’t really need to avail this. Also it’s only available in Boracay. Hi, did you provide paymaya virtual card? Hi Oscar, yes, that’s exactly what I used. Cool. Really helpful blogpost. One more question, does the card must have available balance? Hi, how much balance do you have in your paymaya virtual card? Thanks. Hello Oscar. To be honest, a little under 2 dollars.